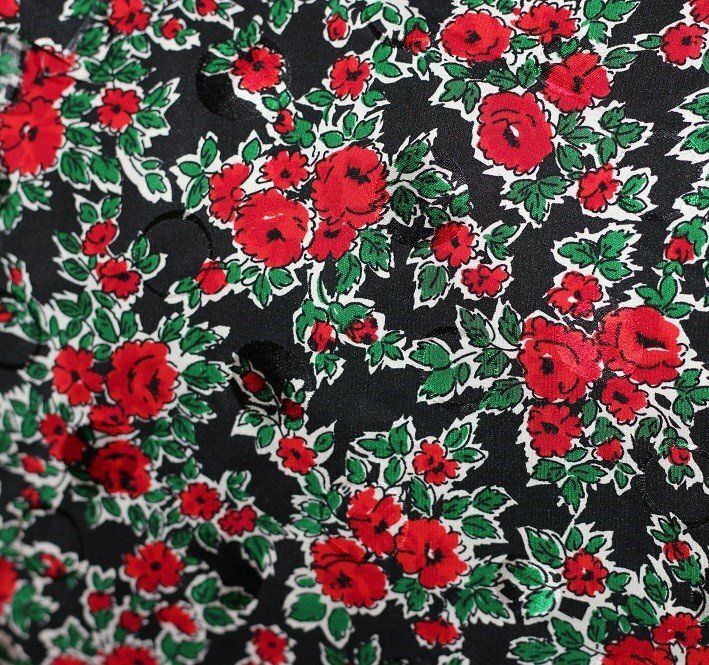 36" wide, pure silk print in black/red/green/white, from Switzerland, $ 55/yd. Now 50% off. Please note, only 1-1/2 yards left! Please enter your order as 1-1/2. Discount is automatically applied.